Posted by Lorea Thomson on Tuesday, November 26th, 2013 at 10:08am. 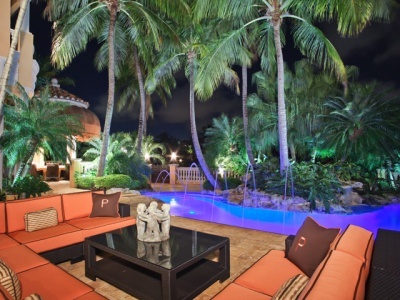 Beautiful South Florida weather beckons for outdoor living! Many of the stunning waterfront properties listed with Waterfront Properties and Club Communities feature outdoor amenities aimed at enjoyable living. Archeticects have masterfully designed homes with resort style pools and cascading waterfalls, koi ponds, wine cellars and home theaters. Sometimes amenities are just unusual – hydraulic lift transports in the garage to allow double level parking – exotic cars upper level and daily driving cars lower level. When you incorporate an outdoor living area into your home design, its literally having the outside come into your home. Welcoming in the sounds of nature and the free flowing sounds of the resort style swimming pools’ cascading waterfalls. It is your own private oasis. Maeander outside to lounge in the sun, casually walk down the “beach entry” of your pool, or stroll out on the dock and take a deep breath as you soak in the waterfront view. Some of the most sought after homes listed feature outdoor living areas containing such open-air amenities as summer kitchens with sub zero refrigerators and top grade appliances, rock fire pits, lazy rivers and putting greens, plasma televisions and retractable movie screens for outdoor viewing with full bar, and docks that can accommodate 100+ yachts. Homes featuring such stunning outdoor amenities almost make going inside unnecessary. 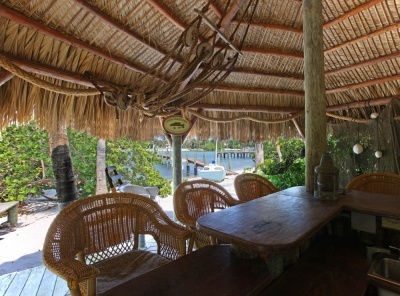 If you don’t find your perfect outdoor oasis, build or create your own. Enjoy the beautiful climate!